Baptiste Dabbadie holds both a degree in climbing and a degree canyoning. 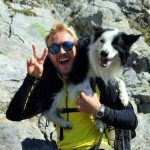 He has 6 years’ experience of coaching and guiding. After going through the canyons and cliffs of the Tarn, the Verdon and the Basque Country, he has decided to start a business in the country of the two Savoie. He is particularly involved in sports coaching people with disabilities. Marie is the first person to talk you. 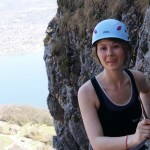 She know canyoning, via ferrata and climbing and she advise you to make a right choice.